How do you see colour? Find out with this simple quiz. When people make a point of talking about their IQ, it's usually because they scored pretty high. Unlike traditional tests of intelligence, though, the goal of Pantone's Color IQ test is to score as low as possible. This simple drag and drop quiz only takes a couple of minutes, and it's a great way of seeing some colour theory in action. Sounds easy, right? Well, don't get too confident. On the face of it the challenge sounds straightforward enough, but once you start placing colours next to one another the different hues start to play on your perception. This will be an all too familiar phenomenon to artists and designers who use juxtaposing colours to achieve a dynamic effect. Can you put the colours in the right order? If you want to take the test, make sure your monitor is calibrated correctly and that the lighting around you isn't affecting your screen. After all, you don't want to get an inaccurate result. Once you complete the test, as well as getting a score you can brag about on social media, you'll also get some information about how your score compares in your demographic, and insight as to why your colour perception could be off. 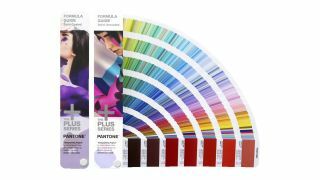 According to Pantone, colour tests such as these have been used in the industry and by government bodies for over 60 years. So if you've got aspirations of working for the colour authority, make sure you nail this test.